The best brownies you'll ever eat! 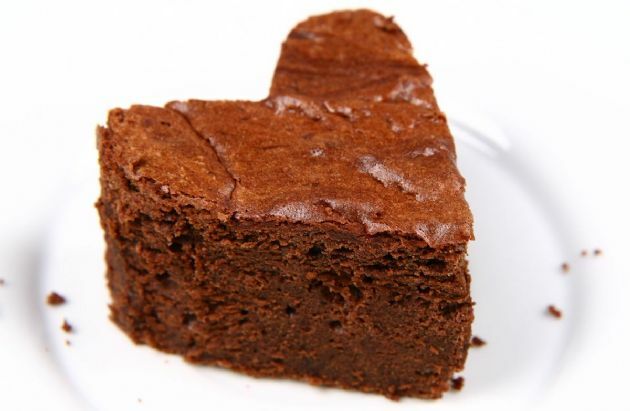 The best brownies you'll ever eat! For Valentine's Day, bake in heart-shaped cupcake tins or use a cookie cutter to form them into hearts. Preheat the oven to 350 degrees. Spray an 8x8 inch non-stick cake pan with spray. Ran this recipe through the recipe converter and the nutritionals are definitely off. Per serving: Cal 108.1, sugar 19.2g, carbs 23.5g, sodium 234.9mg and fat 1.6g.